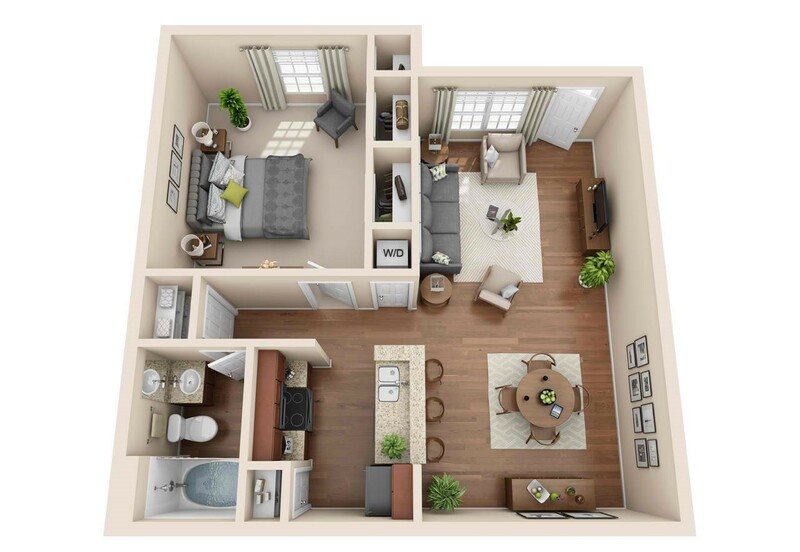 At Grove at Seabrook, residents can choose from a selection of four stylish floor plans among our one and two-bedroom apartment offerings. 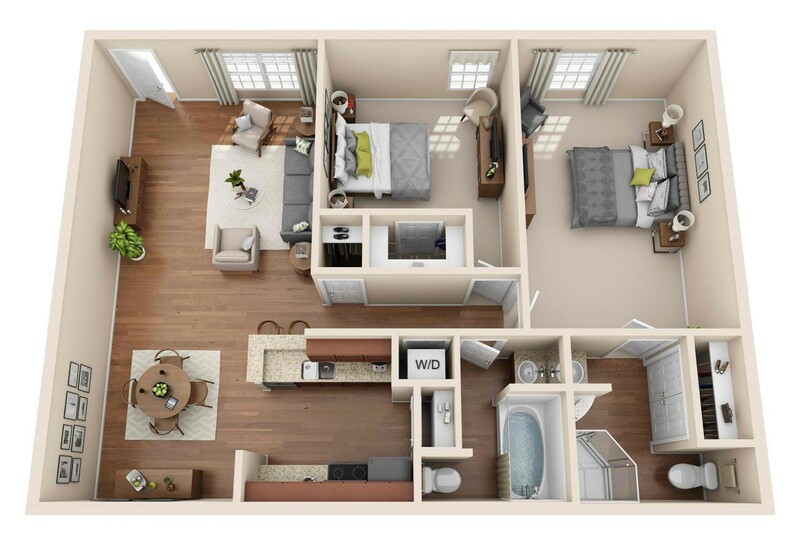 When you step inside your apartment, you will notice how spacious your layout is from the living room all the way to the bedroom. Each of our apartments features a large kitchen with ample space for all of your culinary needs as well as a separate dining room for enjoying your meals with guests or otherwise. 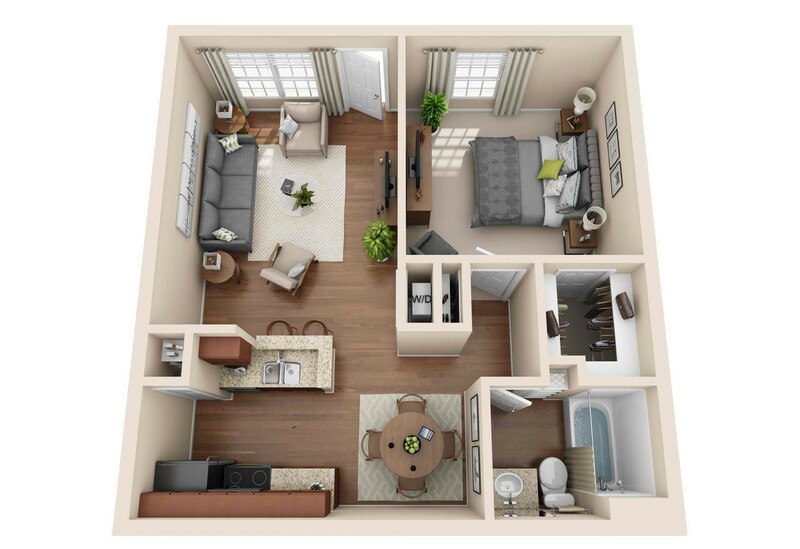 You'll also find central air conditioning, energy-efficient ceiling fans, and stackable connections in every apartment. 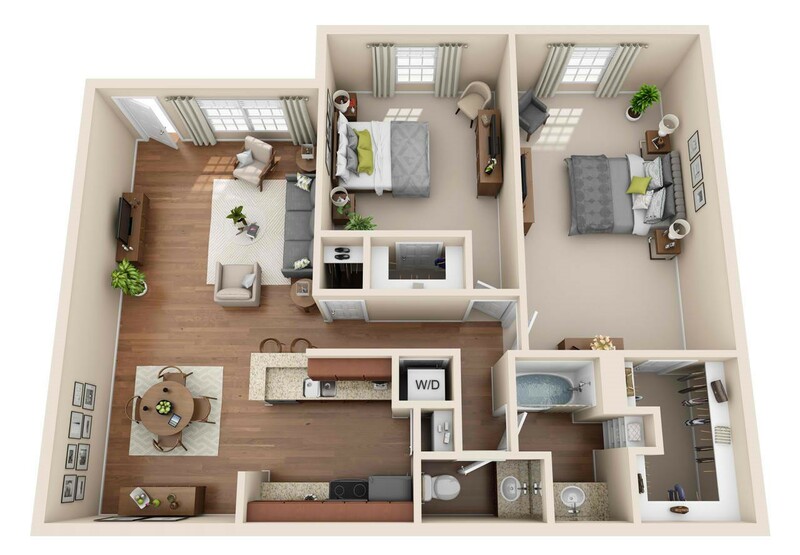 Your floor plan expands ten-fold with our glorious community amenities such as a waterfall resort-style swimming pool, an expansive sun deck with a grilling area, a modern fitness center with virtual cardio and professional weight equipment. Step into a home you truly love and become a resident of Grove at Seabrook today!